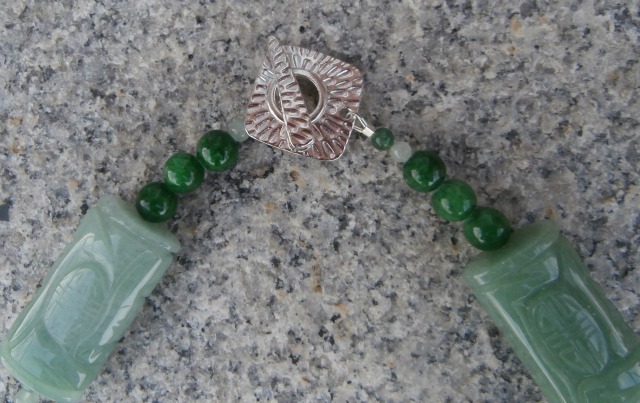 View Cart “19 1/2″ long necklace with blue round faceted fire polished glass beads accented with pewter beads” has been added to your cart. 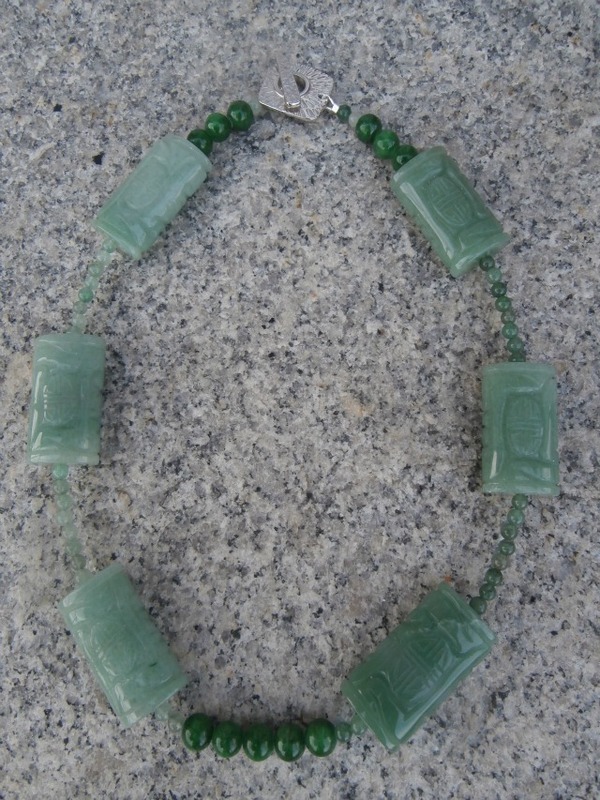 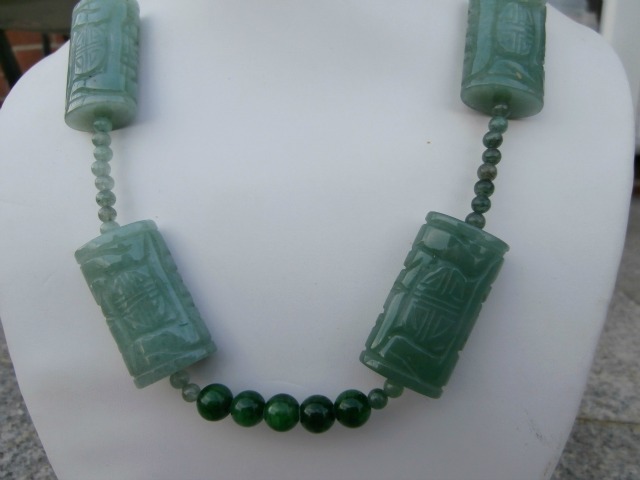 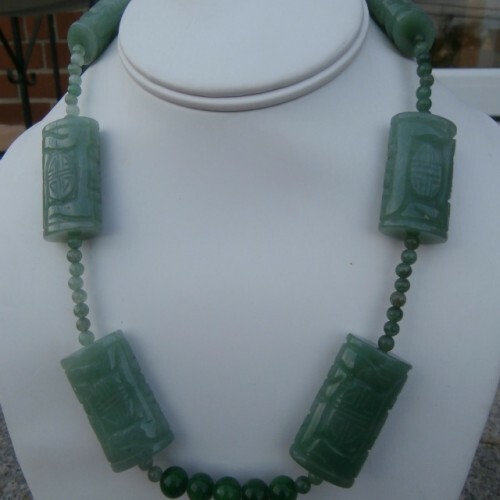 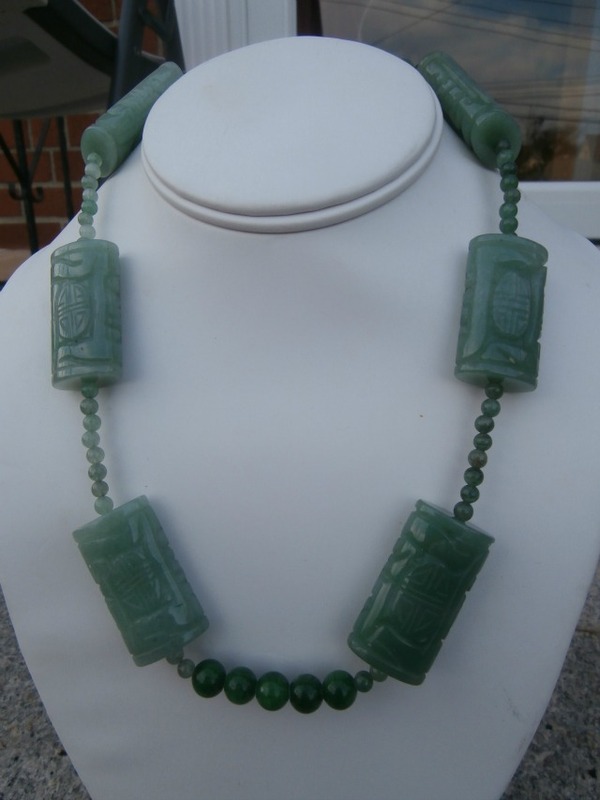 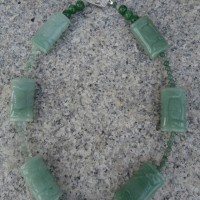 20″ Long necklace, Adventurine carved tube beaded necklace, Paired with dyed Jade round beads. 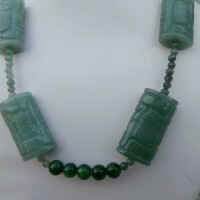 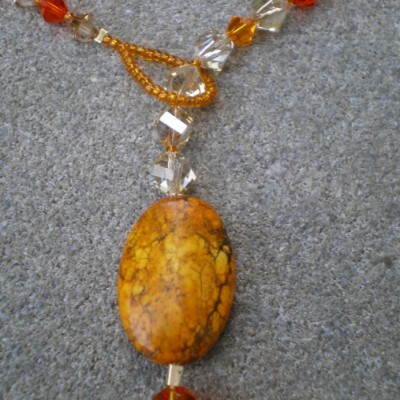 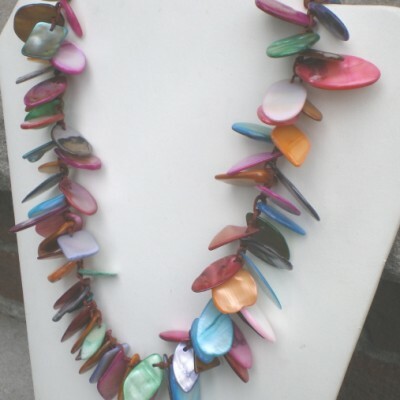 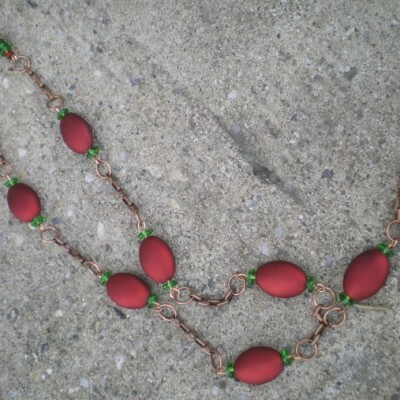 Note one side of the necklace is a light shade of green and the other side is a darker shade of round beads. 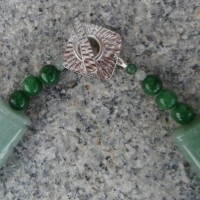 Silver decorative toggle clasp. 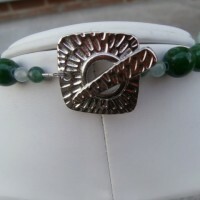 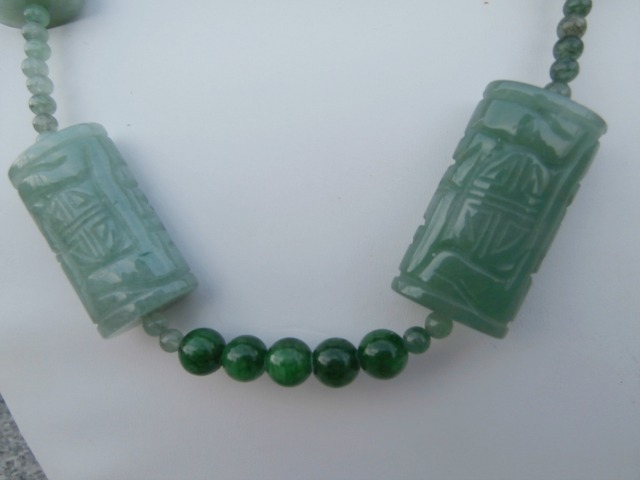 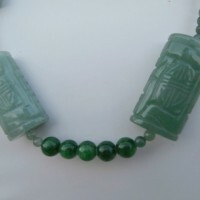 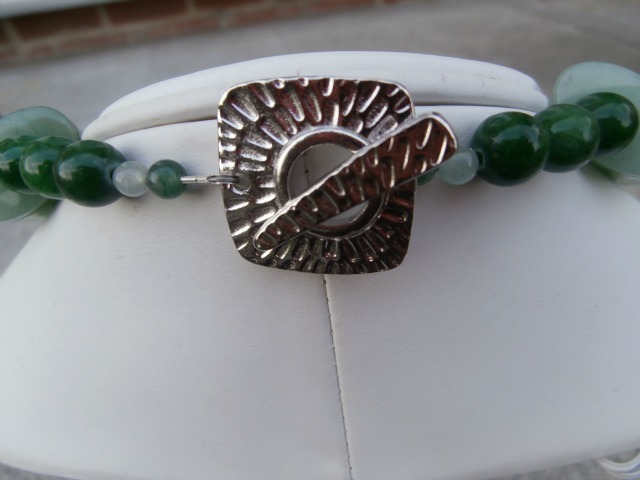 Be the first to review “Carved Adventurine Stone Necklace” Click here to cancel reply.